If you want to keep your teeth and gums healthy, you need to take note of these seven foods that are bad for your teeth. Some of which you probably wouldn’t have guessed! Are you among the one-third of Americans who don’t like the way that they look when they smile? Do you feel like your yellowed, cracked, and cavity-ridden teeth are holding you back when it comes to your love and professional lives? If so, you might be more right than you’d like to admit. According to recent studies, poor oral hygiene has been found to be one of the biggest dating turn-offs, right up there with unemployment and obesity. Additionally, research has found that those with bad teeth have even been passed over for promotions — or not hired in the first place. If you want to change your smile, you need to change your diet. In this post, we’ll make sure you know the foods that are bad for your teeth. 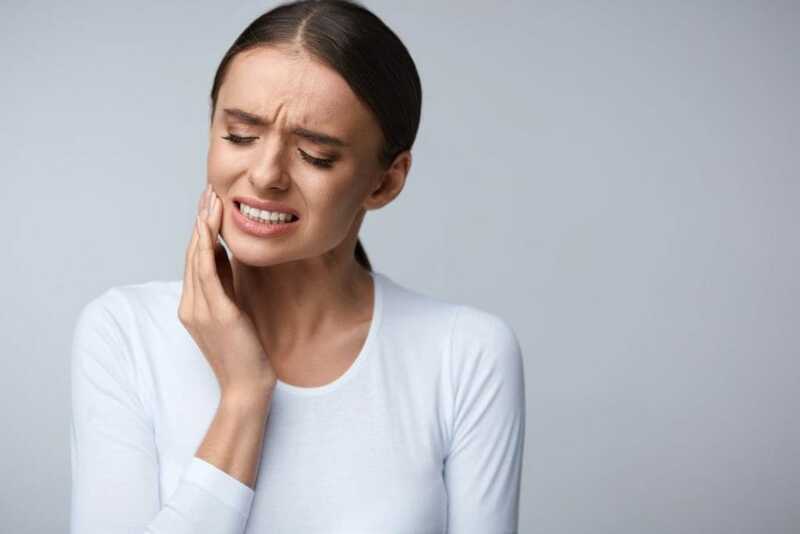 Read on to learn all about the foods that damage teeth. Do you reach for an ice cube whenever you’re stressed out? Do you love the sound of that familiar “crunch” when you chomp down on a huge cube? If so, then you should know that ice — while certainly low in calories — is not on the list of snacks that are good for teeth. Essentially, you should think of it as chowing on an old rock. It’s easy to crack your filling, chip the front of your tooth, or even knock braces loose. Plus, the freezing cold temperature isn’t exactly great for your teeth, either. Instead, resist the urge to bite, and let the ice melt instead. Try these recipes to learn other ways to spice up your water. You’ve hit the gym, you’ve pushed yourself harder than ever, and now, you’re looking for a way to replenish your fluids. Before you reach for that sports drink, you should know it’s on the list of foods and drinks that damage your teeth. In fact, these energy drinks are actually more harmful to your oral hygiene than soda. This is because they have a high amount of citric acid, which quickly damages your teeth’s enamel. Plus, they’re jam-packed with sugar. They’re just as bad for your diet as they are for your mouth. You might think that dried fruits are a healthy snack, but they’re also on our list of foods that are bad for your teeth. So, why do they cause so much damage to your mouth? Because not only are they super chewy, which means your chompers will have to work hard to bite through them. They’re also incredibly sticky. This means they’re probably going to get lodged in between your teeth. Plus, like the sports drinks we mentioned above, they also have a high sugar content. This only leads to more potential for rotting teeth. If you just can’t resist, talk to your dentist about the proper oral hygiene habits when it comes to eating dried fruits. Make an appointment with North Tonawanda Family Dentistry for more information about how to keep your smile in good shape no matter what you’re eating. Love throwing a lemon or lime into your cocktail of choice? Enjoy half of a grapefruit or an orange every morning for breakfast? So, what makes citrus fruits a cavity culprit? As you may have already guessed, it’s the high acidity content that’s to blame. This seriously damages the enamel of your teeth, and it actually causes them to decay faster than normal. And if you have any open sores or painful spots in your mouth? The acid from the citrus will likely only cause further pain and irritation. So, while citrus fruits and flavoring are fine in moderation, make sure you don’t eat too many of them in order to keep your pearly whites looking, well, pearly white. We know — this one is an especially difficult one to have to give up. Like ice cubes, we understand that potato chips provide an especially satisfying crunch. However, that crunch comes with a serious cost to your overall oral hygiene. Remember that, even if you eat potato chips that are low in or don’t contain any sugar, they all contain some form of starch. And guess what that starch can turn into down the line? Plus, pieces of the chips often get lodged in between your teeth. This can definitely increase your overall risk for cavities. Plus, it can just create a haven for bacteria in your mouth. That leads to some seriously stinky breath! We hope that this post has helped to better educate you about the foods that are bad for your teeth. We know that some of the items on this list may feel next to impossible to give up. However, we can guarantee you that you’ll wish you had stopped eating them earlier when you’re having a cavity filled or paying a hefty dental bill. Looking for more advice about how to upgrade your smile — and your overall beauty routine? Want some delicious recipes so that you can make snacks that are good for your teeth? Just want to upgrade your lifestyle from your teeth to your toes? Spend some time on our website and blog to improve your DIY game, learn about the latest trends in fashion and beauty, and discover how to get more out of each and every day.